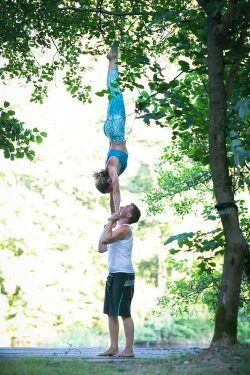 This festival is a magical event with AcroYoga, standing acrobatics, handstand training, yoga, creativity, playtime and massage. Once again we will be in a beautiful location, with a huge training hall surrounded by a calm park to rest and have meals together. Each day, workshops will be offered with a crew of international teachers. We will have a wide variety of workshops for all levels. Evenings, we will celebrate with music, performances, dancing, space to jam, and massage/bodywork. AcroYoga Summer Festival Belgium was created in 2017 by Tatjana t’Felt, Marie Marecaux and Grégory Thirion with the intention of creating a large festival, which would strengthen and gather the community in Belgium. 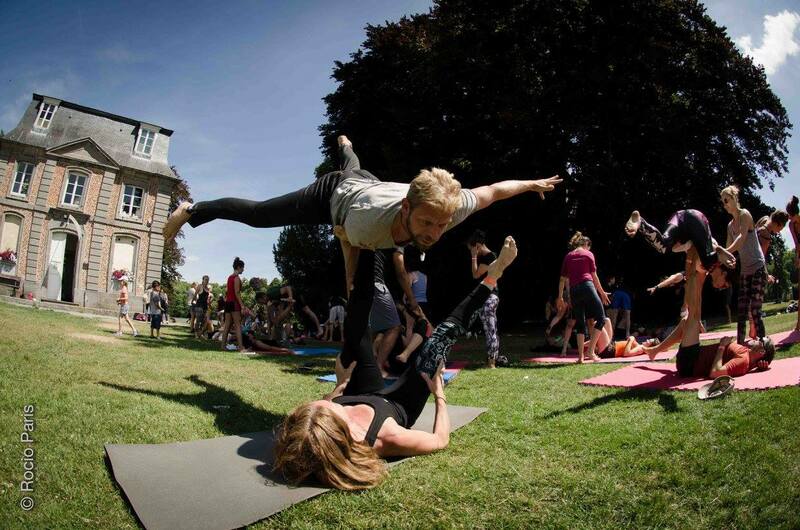 This festival is a place for people to connect, move, eat, play and get inspired. Our vision is to connect people. 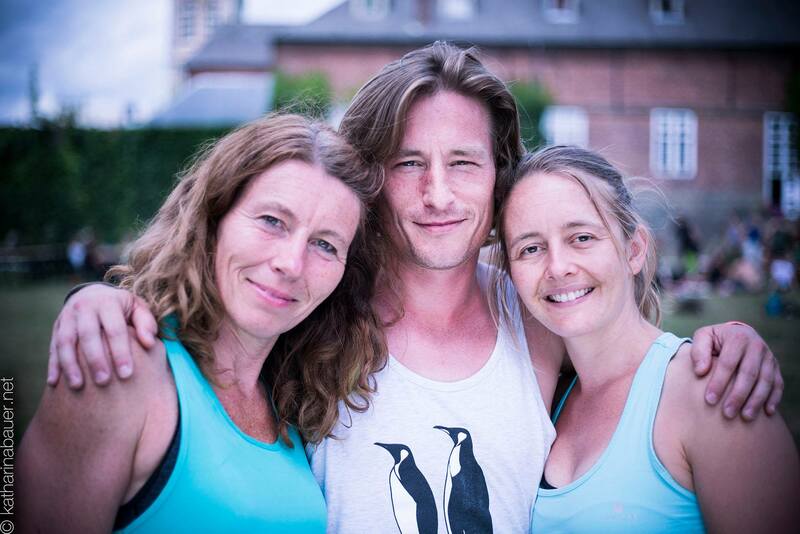 This festival is also created in collaboration with a lot of help from friends, all the teachers and karma yogis. We are very grateful for this support. 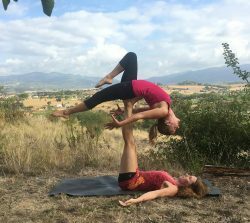 AcroYoga is a playful blend of partner yoga and acrobalance. 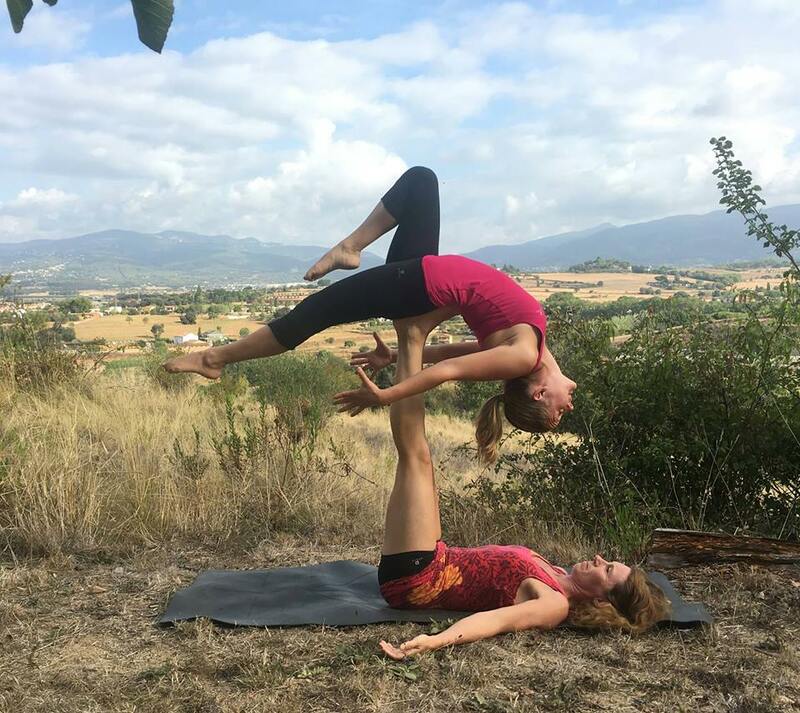 AcroYoga is a dynamic training that gives you strength, balance and flexibility. AcroYoga combines the wisdom of yoga, the dynamic power of acrobatics, and the loving kindness of healing arts. These 3 elements form the basis of a practice that cultivates trust, playfulness, and community. Acrobatic Practices that cultivate trust, empowerment and joy. Massage and the healing Arts Practices that cultivate listening, loving and letting go. 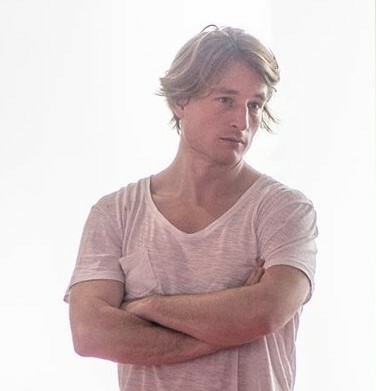 Yoga Practices that cultivate breathe awareness, life balance and connection.